Including an FIA in retirement portfolios may not help clients catch up on years of savings, but it can help put their minds at ease that they will have a measure of financial security into their golden years. The report, based on data from the 2013 Survey of Consumer Finances (SCF) from the U.S. Federal Reserve, found that the average working household has virtually no retirement funds put aside. Taking into account all households—those with retirement accounts set up and those that don’t have an account set up—the median retirement account balance amounts to just $2,500 for all working age households, and $14,500 for households nearing retirement age. Even if they do have retirement accounts set up, Americans aren’t adequately prepared to maintain their standard of living after they quit the workforce. They simply don’t have enough saved. More than six in ten (62%) of working households in which members are between the ages of 55 and 64 have minimal retirement savings, less than one times the amount of their current annual income. Estimate of how much individuals need to save for a secure retirement vary and depend on several factors, including the rate of return on assets, age when saving begins and age of retirement. 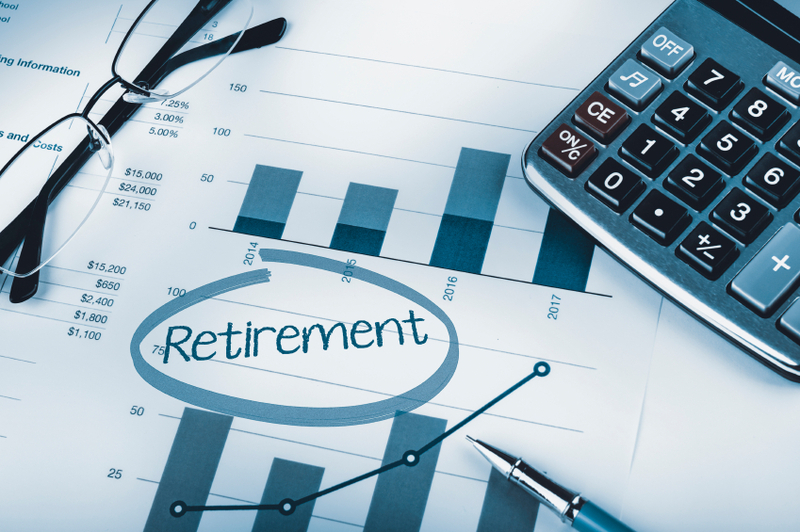 According to a brief from the Center for Retirement Research at Boston College (CRR), people need about 80 percent of their pre-retirement income in retirement. “An average earner who starts saving at 35 and retires at 67 needs to save 18 percent each year, assuming a 4 percent return,” according to the report, which adds that starting early and working longer are more powerful levers for gaining a secure retirement than earning higher returns. In general, Americans aren’t prioritizing their retirement savings. Many are spending more than they’re making. As they approach retirement years, they’re finding that they need to delay quitting the workforce, or find they need to find some sort of employment after retirement if they don’t want to alter their lifestyle. A comprehensive and diversified financial plan can benefit individuals who find they are nearing retirement age but who aren’t adequately prepared for the financial requirements. Aging individuals might be wary of some investments after witnessing market volatility over the past several years and unsure how to invest to catch up on retirement savings without the risk inherent in stock market involvement. As fixed indexed annuity (FIA) can be a great option. FIAs offer guaranteed income and upside earning potential while minimizing risk during market downturns. Including an FIA in retirement portfolios may not help clients catch up on years of savings, but it can help put their minds at ease that they will have a measure of financial security into their golden years.